Maruthi Dasari is a self-made man and as a director he is one of TFI's most successful filmmakers. 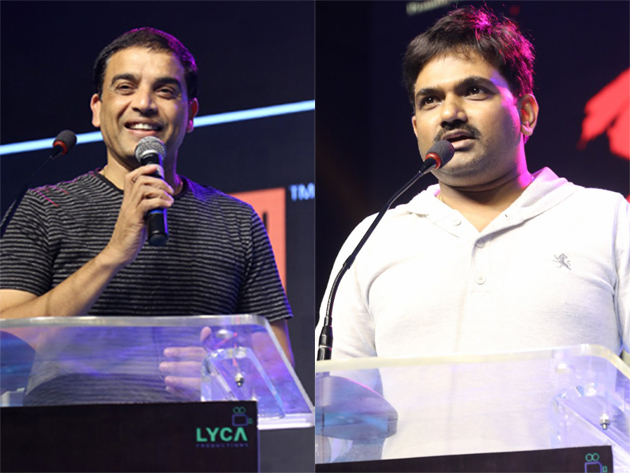 Normally, during pre-releases, any director or actor will try to praise filmmakers and guests. That too, if it's a Rajni movie, the stories about how much they love Rajni will be the subject of the day. While keeping Rajni's greatness as a subject, Maruthi told the truth by saying that Kabali collapsed. He said that Rajni is a great person who values ​​talent because he gave Pa. Ranjith another chance even though Kabali failed and said that many actors would not even respond to the directors' calls if the film was shot at the box office. This made Pa Ranjith and Rajni uncomfortable, but they did not try to fight. Dil Raju, the producer also said that Maruthi is right and he knows how much Rajni appreciates people. In any case, someone had to tell the truth and Maruthi dared to do it.